A festive and meaningful Michaelmas to all on this profound holiday. I thought I was going to write something about Michaelmas that included an explanation of the beautiful and quite esoteric nature of its symbols and stories but with all the birthday planning and visitors and cleaning, I'm afraid it will have to wait. What I would like to do is just share the way the struggle of will and consciousness conquering desire and psychological sleep is manifesting in a cute and cuddly way for our daughter in our home. As with all meaningful celebrations, we don't talk to our almost-five-year-old about the internal significance and substance of these observances but just let the stories and pictures act upon and through her in a gentle subconscious manner. 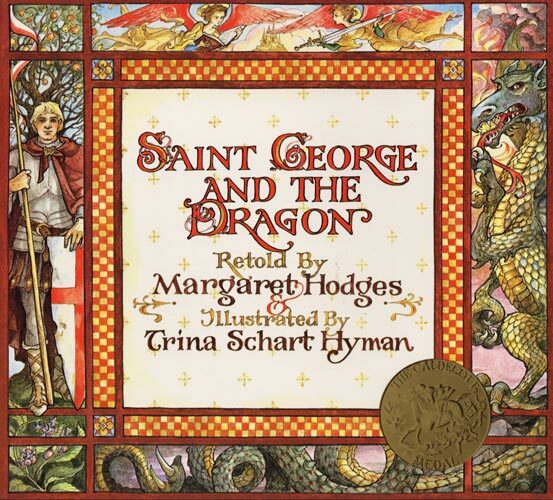 For a few days now we have been reading (with a fair amount of editing) the wonderful story of St. George and the Dragon as retold by Margaret Hodges. There aren't a great many picture books out there for Michaelmas and this is one we really enjoy. To hold the pictures of the story, we set up our Nature Table for Michaelmas to include a scene from this book (as seen in the photo up top). 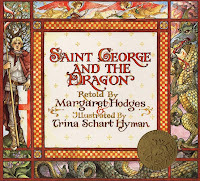 A pattern for the sweet Michaelmas dragon can be found at Rhythm of the Home. When Naiya arrived home from school today we decided to bake Dragon Bread for the first time using a recipe we found here. Once upon a time there was a boy whose father helped him make a kite. They worked on it in the winter, until its wooden cross was surrounded by transparent paper of yellow, red and blue. In the summer the boy flew his kite and the sun was so pleased with its colours that he sent his clearest rays of light. And so the kite looked like a flaming cross in the sky. The boy let his kite rise as high as it could until the string came to an end and the kite could go no further. Whoosh! Then came a gust of wind. The string snapped and the kite went flying into the sky. The boy saw it rise higher and higher. Soon the kite had gone so high that he could barely see it. Up there in the blue there was much to be seen. First the kite saw a crow. “Good morning,” croaked the crow. “Good morning,” replied the kite. “Then you do not belong here. Up here every being knows whence he comes and whither he goes. I fly every winter to the south, and every summer to the north. I advise you to return to the human beings below, for if you do not know where you are going, you will lose your way in heaven.” But the kite was determined and rose further into the heights. Then the kite met a seed. “Good day,” whispered the seed. “Good day,” replied the kite. “Then you do not belong here. Up here everyone knows where he is going. I sail through the air and take in that which moves from the east to the west - the warmth of the sun. When I have taken it into myself, I travel down again and bring it to the earth. The earth then lets a flower grow out of me. If you do not know what to do, I advise you to descend to the earth or you will lose your way in these heights.” But the kite did not hear and soared higher. Then he glided past a cloud. “Good evening,” murmured the cloud. “Good evening,” said the kite. “Are you a cloud with your flaming sunset red?” asked the cloud. “Then you do not belong here. Everyone here knows his purpose. I collect the last red of the sunset and turn it into the red of the sunrise. I rain down with the red of the sunrise and bless the earth and when I have done that the sun carries me up once more, so that the red of the sunrise can again be made. And so I travel up and down. I advise you to go back to the boy, for without a goal you will lose your way up here.” But the kite would not return and rose higher. Then he came to the stars. “Good night,” sang the stars. “Good night,” sang the kite with them. “What news do you bring to us, you comet of the earth?” sang the stars. “We ask you to take our blessings back to the boy,” sang the stars and every one of them gave the kite some of their light. Then came the Angel Michael. He took a star and hurled it towards the strange newcomer. The kite burst into flames and like a torch plunged into the depths. The boy awoke from a dream. But when he looked around he realised that it could not have been an ordinary dream for next to him lay the cross of his kite and the coloured paper had been devoured by flames. And the cross was no longer wooden but was of bright, heavenly iron. The boy was astounded when he saw that. But he was also vexed because his beautiful kite was gone. This they did. And next summer when the kite rose to the heavens he again met those who traveled from north to south, from east to west and from heaven to earth. And when he came to the stars he again met Michael and again he plunged burning to the earth. But the cross of heavenly iron shone even more brightly than before. And this happened for many years and with every year the cross became brighter and stronger. And when the boy had grown up the cross took on a different form: it turned into a shining sword which gleamed with the light of the stars. With this sword the growing man traveled through the world and he became a knight and servant of Michael. On Saturday we enjoyed the whole day over in Eagle Creek at the 36th Annual Cider Squeeze at Philip Foster Farm. It's just so dang wholesome. play and dress up in the historic log cabin - "for kids and Omas only"
Across the street from the Cider Festival we found a lovely family running an alpaca farm. The children played with the litter of kittens there and enjoyed the alpacas a bit as well. It feels like we barely got a taste of Summer and here it is Autumn already. 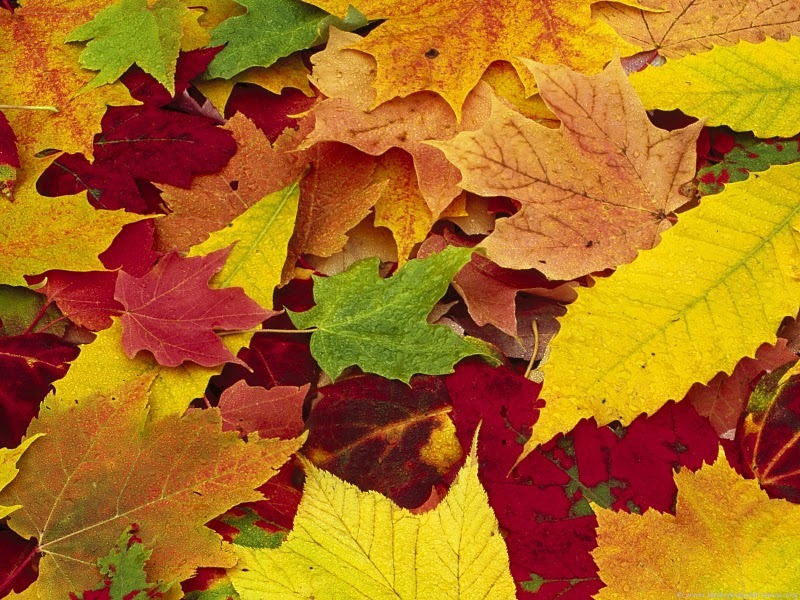 Today is the Autumnal Equinox when light and darkness balance on the wheel of the year. From here into Winter, the nights will grow longer than the days. And oh, how I’ll miss those warm, long nights (brief though they were this time around). It’s an interesting time, entering my husband’s favorite season; one to celebrate equilibrium before preparing for the colder, darker time to come. Historically this holiday was an observance of the last crops coming in and so a time when the bustle and hard work of summer decreased along with the light. For us, with school beginning, it seems just the opposite. We do however make the transition from lots of hectic time traveling and playing out of doors with many friends and family to the more solitary, calm, indoor activities and crafts that the cooler weather inspires. This seasonal transition is a time when those contrasting lifestyles meet. At our bonfire gathering this evening we’re wondering how we (both adults and children) can inwardly and outwardly celebrate this moment of balance and also honor all the goodness that the earth has given us. We’ll bring the bounty of our separate gardens to share with those we love but what of activities? I’ve read about games symbolic of balance (like races carrying eggs on spoons) that are held at Equinox feasts but I’m wondering what other traditions and festivities folks might enjoy for their Fall celebrations. Any suggestions? 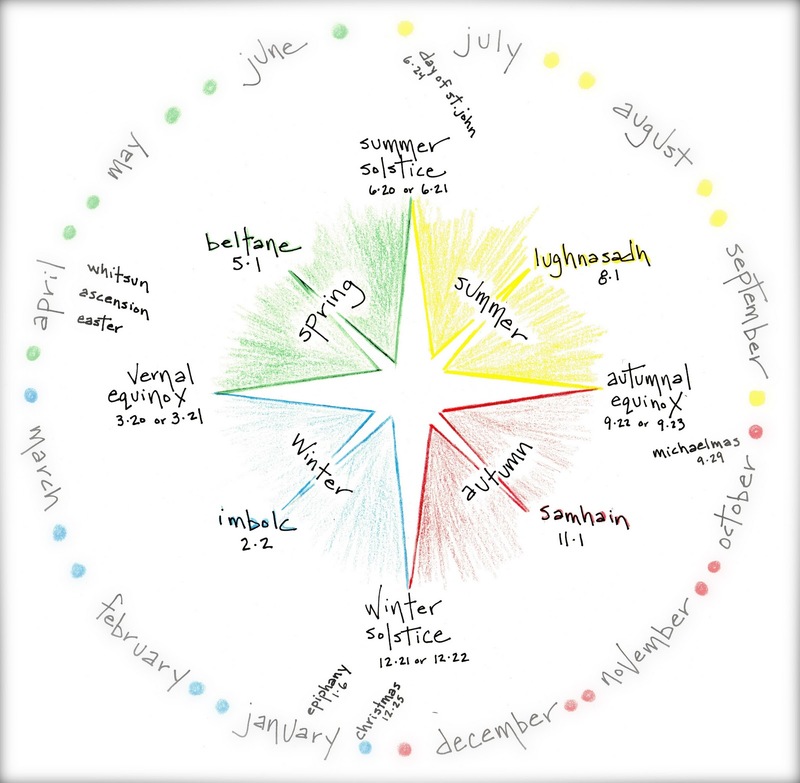 I’d love to hear how other people acknowledge the turning of the year (even if this rotation finds you in another hemisphere and you’re welcoming Spring instead of Autumn). Won't you please leave a comment/suggestion to help enliven our observance? As a part of our daily rhythm we have tea time each day in the afternoon. Our meals and snacks are the anchors of our day and when the planned story-times, outdoor adventures, crafts and special activities slip through the cracks (which is frequently I must say), the moments when we sit down to eat together remain the regular beats in the pulse of our lives. We've been having tea time for so long, it's a wonder my little one is still so delighted each time we lay out our afternoon spread. Maybe it's the special place or the promise of dainty serving dishes and cups. Mostly, I think that she just loves the name. A while back Oma made this sweet Waldorf doll for Naiya. Some of her clothes were purchased, but my mom, clever woman that she is, made the cute coat out of an old sweater. Like me, mum is not a button hole maker and is kind of a stitch-it-quick sort of sewer. I thought the idea so clever that I wanted to share it. Since it was already put together this isn't a great pictorial how-to, but I think you can see how it was done fairly easily just by looking at the finished product. The front two panels were taken from a button up sweater my mum pulled out of her clothing donation bag. She cut the body/sleeve pieces with buttons already in place. The bottom edge was the existing bottom edge of the sweater and so needed no finishing. The back panel is a single piece including arms that was sewn by machine onto the two front panels. The sleeve ends were turned inside to give them a finished edge and sewn in place with a very simple decorative embroidery stitch. Lastly a strip of the sweater was folded over the top of the coat (as seen in the above photo) to make a collar. Again, this was sewn on with a machine. I don't know what kind of fabric this is but it doesn't seem to unravel on the edges. That may not be true of all material. I think she said this took only about 15 or 20 minutes to make. Thanks Oma! We love both sweater and doll (and feel inspired to sew some more simple outfits on our own). Our last hurrah of Summer was celebrated with a day at the cold Oregon coast. Back in the day, I was one of those folks who thought garden gnomes were kind of tacky. It's funny how having children with magical imaginations can change one's perception and judgment of the world. This guy made his first appearance at Naiya's birthday party last year surrounded by a troop of toadstools. After that festive event he somehow found his way to our back yard and every now and again we find him hidden under different shrubberies. Sometimes he disappears for days then resurfaces, to our daughter's amusement, hidden beneath a fern or amongst the bamboo stalks. I'm still wary of plastic pink flamingoes but I have to admit I enjoy this fellow quite a lot. Ryan sometimes tells stories to Naiya about Ladybird the Ladybug and a few months back, Ladybird came across a gnome in a tall blue cap (just like the one in our yard!) I didn't hear this narrative firsthand, but I later learned from Naiya that the reason he (and all gnomes) appear to be statues is that they're only awake at night. The sunlight apparently freezes them in their tracks. How Ryan learned this bit of lore I do not know. He's got some otherworldly knowledge that trickles out of him now and again. A few weeks later, another gnome was introduced in the Ladybird story. This one had a racing snail and, wouldn't you know it, the next day he showed up in the back yard too. They're sneaky little characters and oh so tastefully enhance our enchanted garden. Last week the Fairie Queen left these sweet little houses on the back doorstep for Naiya. So for crafts today Naiya wanted to make something to gift back to her beloved monarch. We pulled out our old, old eight pound box of Super Sculpey and set to work. In case you're not familiar with Super Sculpey, it's a pretty pliable oven fire clay that's fairly easy for children to manipulate and bakes into a hard, paintable, water resistant finish in just 15 minutes in your home oven. Regular Sculpey comes in a variety of colors but at the time I purchased this bulk Super Sculpey (which is a little less brittle than the regular) it only came in this odd flesh color. Because of this unique tone, it's particularly good for crafting people or magical creatures. It's available at most craft stores. Years ago I was making little elfin dolls with it and after two decades in storage (wait, does that make me sound incredibly old? ), the stuff is still good. Gotta love Sculpey. Naiya had the grand idea that she'd mold and carve a new set of dishes for the garden sprites and set to work. I helped her with a few of the shapes and the flatware but all the decorating was of her design. Dishes and cups are pretty simple for a four or five year old to turn out and she felt so accomplished when viewing her finished products. She preferred them unpainted and in no time at all the table in the fairie garden was primed for tea-time. I'm sure the Queen will be pleased. "Mommy, can we play bomb cellar?" Naiya just asked me. I'm a little taken aback by this question. Where on earth did she hear about bomb cellars? I fear someone has been telling her frightening stories. Maybe, as is often the case, she just overheard someone talking and so is trying out some new vocabulary. "How do we play that?" I ask, worried about where this is going. She looks at me a if I'm a bit dim witted. "I'll go get the balm," she replies, "and you be the seller." "Oh," I dumbly respond as she runs in the next room for her lip balm collection. Our whole family cycled through some kind of stomach flu this week so I haven't posted in many a day. This morning though, I had this nifty craft idea. I'm still working on the execution but I thought the notion was a good one. It's likely that there are a number of folks who can turn out something more beautiful than my first couple of tries. (Run with it I say, if it strikes your fancy.) The idea was papier-mâché doll furniture. There are a few great companies out there making cute stuff of sustainably harvested, fairly traded this and that for, I suppose, not a huge fortune. But why not manufacture just what you need to the scale of your homemade fairies and dolls with the satisfaction of having done it yourself for only pennies from your pocket? (And kids love to help with papier-mâché!) Well, that's what I was thinking when I looked at some furniture in our home and tried to reproduce it in fairie size. Naiya and I decided to start with a bed. The framework is a reproduction of our guest bed made out of pipe cleaners. We laid a bit of thin cardboard (cut from a cereal box) onto the raised base and then proceeded to wrap the entire thing with thin strips of paper grocery bags dipped in a mixture of white glue and water (about 4 parts glue to 1 part water). It took about 2 hours to dry. We glued some little beads on for bed knobs and covered it with a little pillow and spread.